Learn to knit with me! And have a beer! What's better than knitting and a beer? Not much! Enjoy a crafty afternoon and learn to knit. I'll be teaching a 2-hour class on Sunday, February 18th. If you've been wanting to learn to knit or have a friend that would enjoy the class then send them my way! The class will be held at Bagby Beer in Oceanside, CA. Get tickets on Eventbrite. What: Learn to knit! Sign up and enjoy a 2 hour class where you learn this trendy skill. The class includes yarn from Ewe Ewe Yarns, knitting needles to complete the project, a 2-hour hands-on knitting class taught by local designer Heather Walpole (that's me! ), and a tasty Bagby beer. Grab your friends and let’s knit! Tickets are limited so grab yours today! Must be 21 or over. LYS Day is this Saturday, April 27th! Doodle Stitch Beanie featured on MDK March Mayhem! Learn with Vickie Howell on Monday! It's a fresh new year and I'm getting "out there"! I have two events scheduled for January and I'm really looking forward to them. I'll be speaking at the San Diego North Coast Knitters Guild on the 9th and teaching a color theory class at Yarning for You on the 20th. I will be the guest speaker for the general guild meeting! I'll be talking for about an hour about how I started Ewe Ewe Yarns, we we've come, and looking toward the future. I'll also tie in a project that uses the fun color palette of our yarns. Membership is required for this guild but the yearly fee is only $25 and they get great speakers through the year! See sandiegoknitters.com for more info about this event. Time: Saturday, January 20, 2018 from 9 am to 12 pm. What we're up to: As knitters and creative people, we often find ourselves drawn to a specific set of colors, but why? We can use the principles of color theory to explain this and even help choose which color should be the main color of a project and which should play a supporting roll. We’ll apply this new knowledge to a picking the colors for a scarf and swatch our new technique! The pattern is included in the cost of the class and will be provided at the class. Skill level: Any level welcome! Materials: 1-2 balls of 3 colors of Ewe Ewe Yarns Ewe So Sporty yarn. (Picking out your colors is part of the class and will be done during class). Sign up: See class page for more details and call Yarning for You at 760-744-5648 to register. I hope to see you! Cheers to 7 Years! Ewe Ewe Yarns turns 7. 2016 Recap: 15 NEW Knitting + Crochet Patterns! Happy Knit Year! Let's have a sale! Sip and Stitch With Us! Vickie Howell can show you how it's done! The Doodle Stitch Beanie uses two balls of Ewe So Sporty yarn in your favorite colors. Plus, Vickie teaches a free tutorial right on her Facebook page. Awesome! You can get the pattern here or on Ravelry and find Ewe So Sporty yarn at your favorite yarn store or online. Watch the video with Vickie Howell below and then use those same steps to knit your own Doodle Stitch Beanie! Tell us what you thought of Vickie's class in the comments below! It's not often that I teach a class but when Esther from Yarn It & Haberdashery called me and asked me to come visit I jumped at the chance! I'll be in town for our yarn industry trade show and on Thursday night I'll be teaching you all about color theory and how to choose coordinating colors for your knitting projects! Color is kinda my thing. I love it, I dream about it, I ponder new colors every day. All the colors of Ewe Ewe yarn are my own and they each have a reason and a purpose in our color wheel. It's going to be a great class and I think it will be great for every level of knitter. We'll go over how to choose colors that work together and why they do. Then I'll show you how to break those rules to get the results you want! If you're in the Columbus area, I hope to see you there! As knitters and creative people we often find ourselves drawn to a specific set of colors. If a project calls for three colors of yarn we can choose them quickly but from those three colors how do we choose which yarn will act as the main color and which colors play the supporting roles? In this workshop Heather will present an interactive class on how to choose colors and what combinations will work in the most unexpectedly pleasant ways from all the yarns in our store. Attendee’s will receive 10% discount on all Ewe Ewe yarn purchased during this class. Materials: an open mind and notepad, pencil for notes. Beginner Knitting @ Unwind Yarn with Club Ewe U! Get schooled! Unwind Yarn's Knitting University adds a program for beginners! $50 gets you six, two-hour group knitting sessions at Unwind. One of Unwind’s fantastic teachers will be on hand to provide help and informal instruction to Club members. Six Ewe Ewe patterns are included, and we’ll knit simple, fun projects together. Members can bring snacks to share and provide friendship and encouragement. We’ll all use Ewe Ewe’s wonderful Wooly Worsted yarn for our Club Ewe U projects. Most projects take only 2 – 3 skeins, and with the patterns included in your Club Ewe U membership, this is a truly affordable way to have fun and improve your knitting skills. Come for the Club Ewe U kickoff! 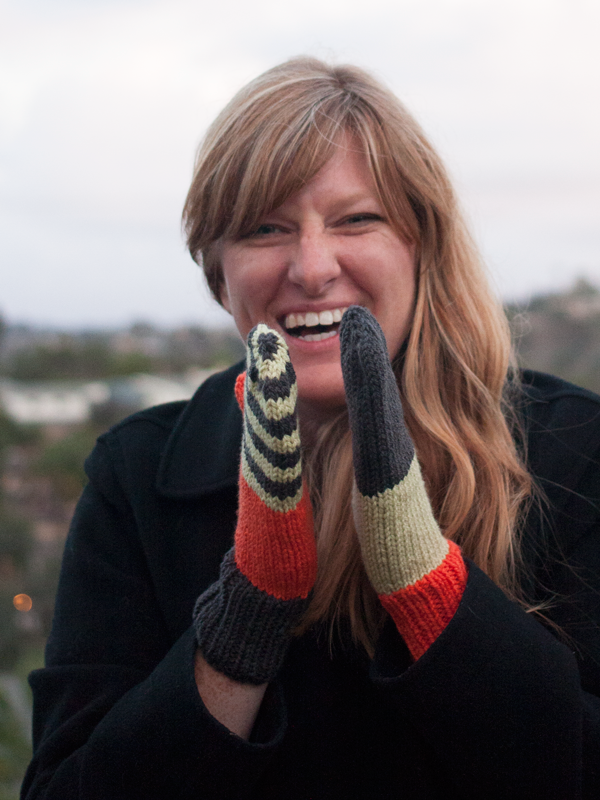 Meet Ewe Ewe Yarns founder Heather Walpole <-- that's me! June 30, 2012 at 11:00 a.m.